Sandra Dunbar, DSN, RN, FAAN, FAHA, is leading the project to address the increasing prevalence of chronic illnesses, which cause seven out of every 10 deaths. Emory University's Nell Hodgson Woodruff School of Nursing has received a $1.5 million grant from the National Institutes of Health (NIH) to train nurse scientists to develop innovative clinical interventions for patients with chronic illnesses. Emory is one of 17 nursing schools in the country to receive this competitive nurse training grant. "Receiving this NIH grant demonstrates a level of research excellence that most nursing schools aspire to achieve," says Linda McCauley, PhD, RN, FAAN, dean and professor of the Nell Hodgson Woodruff School of Nursing. "This grant underscores the pivotal role nurses play in addressing today's most complex health issues through research." According to the Centers for Disease Control and Prevention, chronic diseases cause seven out of every 10 deaths in the United States and are among the most costly and preventable health problems. This grant will help nurse researchers address this growing epidemic by launching an interprofessional training and mentoring program to prepare nurse scientists for the challenges of translating scientific research for chronically ill patients. Led by internationally-recognized cardiovascular nursing expert Sandra Dunbar, DSN, RN, FAAN, FAHA, this innovative program will train 18 predoctoral and postdoctoral nursing scholars over the next five years. 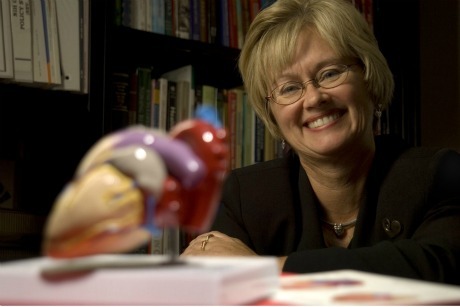 "With the increasing prevalence of chronic diseases, it has become even more important to develop a cadre of nurse scholars who can reduce the burden of chronic illnesses through prevention and self-management," says Dunbar, who also serves as associate dean for academic advancement at Emory's School of Nursing. "This program will provide early career nurse scientists with the knowledge and skills needed to advance clinical research to improve quality of life and other outcomes for patients and their families." This new program will begin training nurse researchers in July 2012.